Designed for both business and leisure travel, Al Bander Hotel & Resort is ideally situated in Sitrah; one of the city's most popular locales. The hotel is not too far from the city center: just 20 Km away, and it normally takes about 30 minutes to reach the airport. With the city's main attractions such as Sitra Mall within close reach, visitors to the hotel will just love its location. At Al Bander Hotel & Resort, every effort is made to make guests feel comfortable. To do so, the hotel provides the best in services and amenities. Top features of the hotel include 24-hour room service, free Wi-Fi in all rooms, 24-hour security, daily housekeeping, gift/souvenir shop. Step into one of 80 inviting rooms and escape the stresses of the day with a wide range of amenities such as television LCD/plasma screen, additional bathroom, additional toilet, bathroom phone, complimentary instant coffee which can be found in some rooms. Besides, the hotel's host of recreational offerings ensures you have plenty to do during your stay. 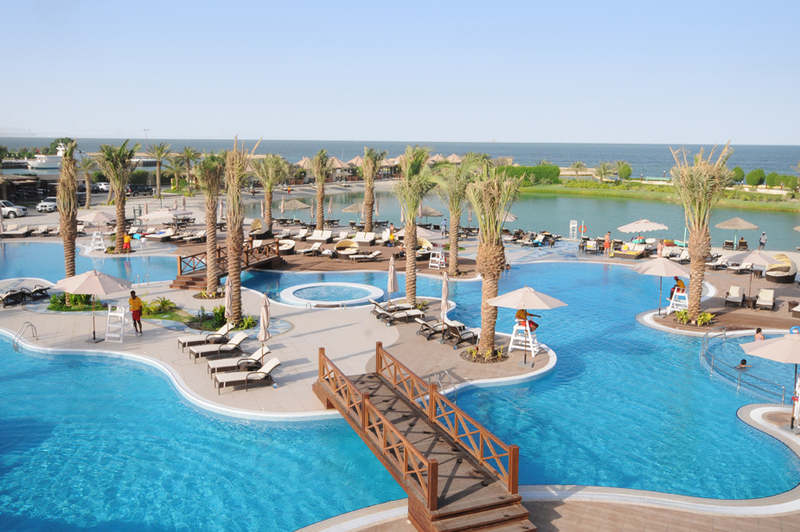 Whatever your purpose of visit, Al Bander Hotel & Resort is an excellent choice for your stay in Sitrah.